This room was always a hive of activity. 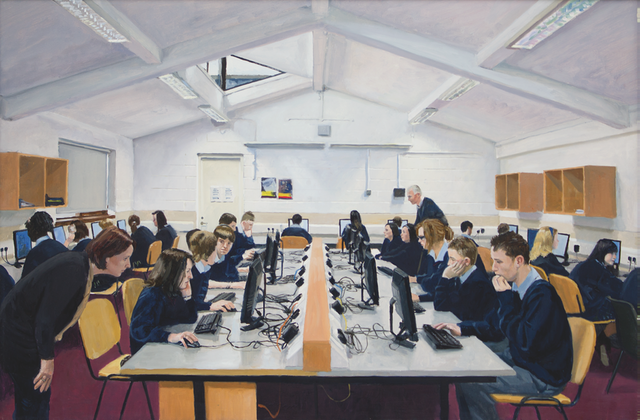 There was a computer club at lunchtime and the place was always packed. The guy sitting at the front on the right, Lee Campbell, was nearly always there and that's why he got painted in. This was appropriate really as he was the local tech guru and staff and students would often refer to him if they had a problem, despite him being only in Second Year aged 14.